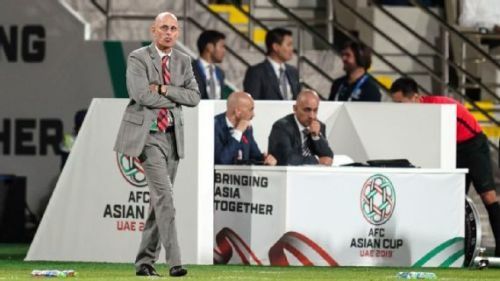 Stephen Constantine's second stint as the head coach of the Indian national football team came to an end after India's defeat to Bahrain and the subsequent exit from the Asian Cup 2019. 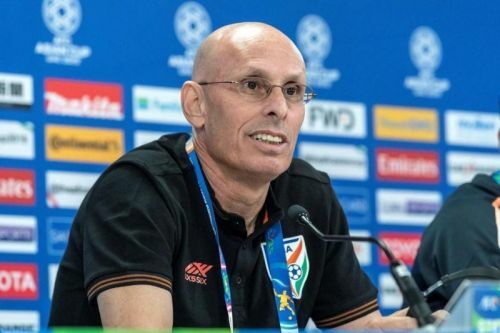 Constantine was appointed India's head coach in the February 2015 and since then, India have come a long way under him. India were not even in the top 150 of the FIFA Rankings when he joined. But he did more than his first tenure between 2002 and 2005 by guiding India to the top 100 of the FIFA rankings. The Englishman taught India to fight and believe in themselves. With the steady rise, his contract was extended by the All India Football Federation (AIFF). The launch of the Indian Super League (ISL) in 2014 helped the Indian youngsters get more competitive experience playing alongside top foreign talent. Along with the ISL, Constantine also kept his eyes on how the Indians were performing in the I-League. Constantine likes to play his team in two ways - one which attacks and goes for the win and the other which goes for a draw and defends all the way down. We have seen the attacking side of the Indian team in the opening match against Thailand in the Asian Cup, where India comprehensively won 4-1. The final group game against Bahrain saw India sit back and defend for the full 90 minutes, which ultimately caused India the match and a berth in the pre-quarterfinals. There were instances when he was severely criticized too. According to the Times of India, there were reports of a fall out between Constantine and some senior members of the Indian squad and then the calls for his ouster grew louder. The Englishman was again put under the radar after their loss to Kyrgyzstan in the Asian Cup Qualifiers. Constantine then said that those who want him to be sacked “must be out of their minds". He has been misunderstood on several occasions. Let's take for example the final group stage match where he was again criticized for his defensive strategy. But India could still have been vulnerable at the back if they had gone out to attack Bahrain in that game. Football pundits criticized him time and again but that never bothered him and he kept on doing what he knew best. It was Constantine and his tactics that brought India in the top 100 of the FIFA Rankings and his record speaks for itself. In the 43 matches under him, India have 24 wins, 6 draws and 13 losses with 75 goals scored and 44 goals conceded. The Indian goalkeepers also maintained 18 clean sheets with a win percentage of 55.8. We cannot thank him enough for his contribution to Indian Football. There are many likeable qualities about Constantine. One of them being his attitude towards and love for the players. He always defended his team through thick and thin. His passion for the game is immense and that helped the young Indian boys prosper. "My goal when I joined the Blue Tigers was to qualify for the AFC Asian Cup and I did that," Constantine said after the defeat to Bahrain. He has achieved what he asked to and therefore, it was the right time for him to say goodbye as he has given his all. Now, India need to look beyond him. It's been a wonderful journey. He guided the team through a critical phase. Under his guidance, Indian Football witnessed some of the most successful days in recent times. The team travelled a long distance under him and the world has seen it all.